It’s the home of lavish sea side mansions; it has a maritime legacy that dates back to the birth of our Navy and currently home to the Naval War College and Naval Undersea Systems Command; and where the community came together in WWI and formed an “adopt a sailor” program. It’s Rhode Island, the location of our 2008 reunion. The festivities began on Monday, August 25th with registration in the hotel lobby. Our hospitality suite was open daily, for refreshments, snacks and catching up with your shipmates. 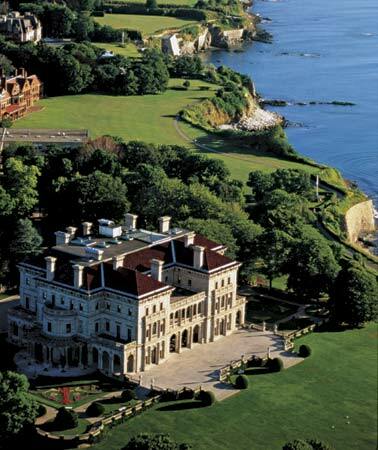 On Tuesday, August 26th, the tour took us to beautiful Newport, often called America’s first resort, where we toured the historic district and The Breakers seaside mansion, an 11 acre estate on Ochre Point that was once owned by Commodore Cornelius Vanderbuilt. After the tour we will proceeded to the Brick Market Place and Bannister’s Warf where we could purchase lunch at one of the many fine restaurants and visit the quaint shops in the area. After exploring Newport we returned to the hotel and gathered for our evening reception. Following that, a country picker showed up in the hospitality suite and provided some entertainment. On Wednesday, August 27th, our tour took us to Battleship Cove and the battleship Massachusetts, the submarine Lionfish, the Gearing class destroyer Joseph P. Kennedy Jr., a landing craft and several torpedo boats. We enjoyed lunch on the Battleship We gathered that evening for our banquet which featured entrees of Chicken Marsala and Atlantic Salmon. Our guest speaker was CDR James D. Nordhill, USN, Commanding Officer of NOSC Newport. He, along with HMC Jeff Mathis, gave an excellent presentation of current affairs in the Navy. It was great to see everybody there.